We do not pay any heed when it comes to charging our smartphones. Whether it's the charger or the charging process, always consider these points below before putting your phone on charging. These will guard your phone against battery damage and help improve its longevity. 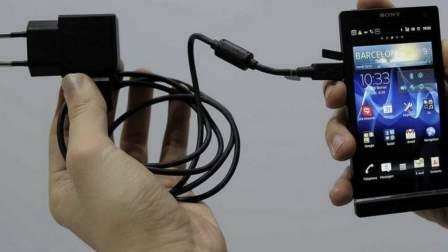 If you often grab a colleague's charger, you are harming your phone's battery. Always charge your phone with its own charger as other chargers may affect the battery performance, capacity to store charge and over all life of the device. And, if it all you use another charger, always ensure that the replacement charger's output voltage (V) and current (Ampere) rating matches the original adapter or is approved by the phone's manufacturer, according to Gadget News. 2: Charging your phone whole night? Stop! Most prefer to charge phones whilst sleeping, causing the device to overcharge and overheat. This is dangerous for the battery's life so unplug the charger when the phone is charged. Phone cases are a good option to protect the phone's exterior from scratches and damaged, however, always remove the case while charging. As phones heat up while charging, protective cases obstruct heat dissipation. Always using a fast charger might not be the best thing for your battery's health. This process sends higher voltage to the phone's battery, which results in a rapid rise in temperature. Opt for a normal charging cycle, if your smartphone provides this option in its battery settings. Always ensure that your battery reaches at least 80 per cent charge while charging. Also, try not to interrupt charging process by unplugging from the charger. And, remember it is not necessary that the phone should always be topped up to maximum battery charge. This increases the temperature of the phone, shortening its battery life.